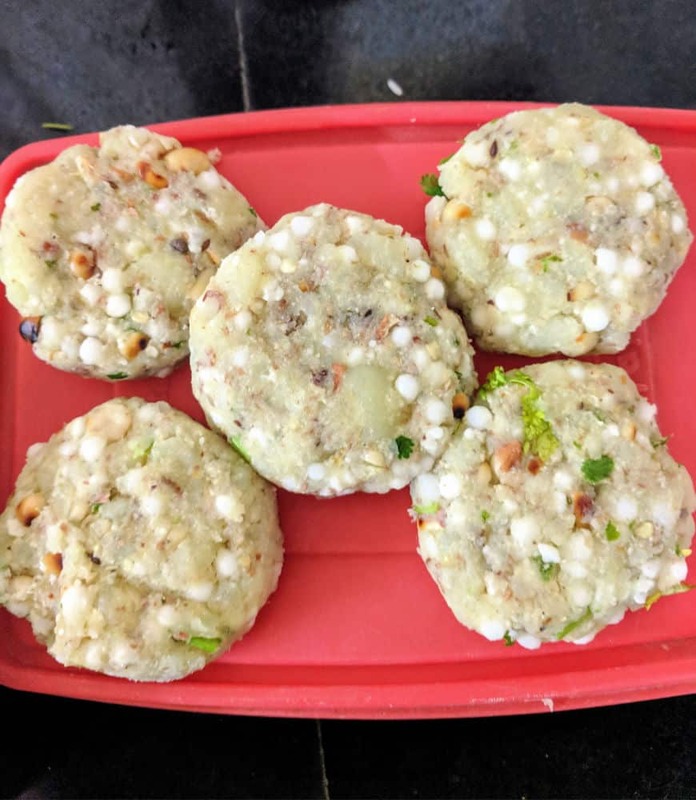 Sabudana vada is a delicious Indian snack that is made with sago or tapioca pearls. 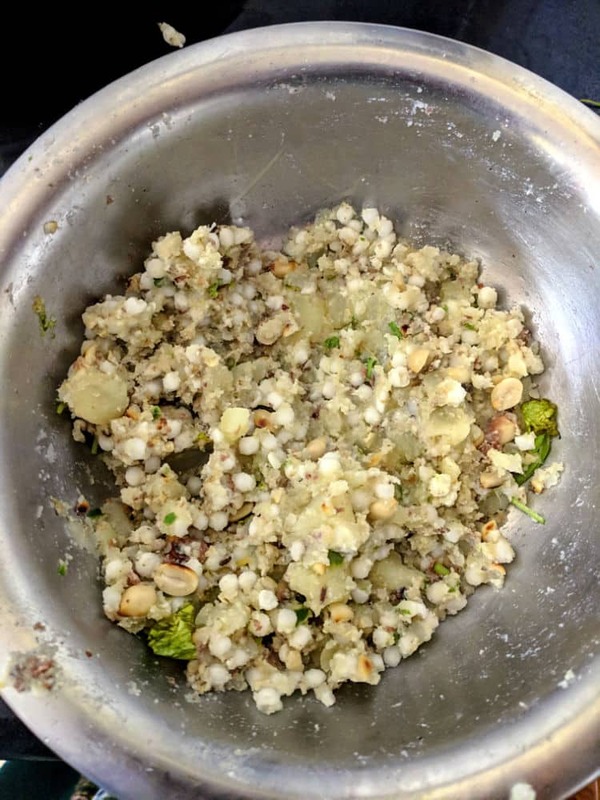 I call it the fried version of sabudana khichdi which is another favourite at home. It has the same ingredients but is deep fried and really tasty. Make it for a filling snack with tea or have it when fasting during Janmashtami or Navratri, it is super delicious. 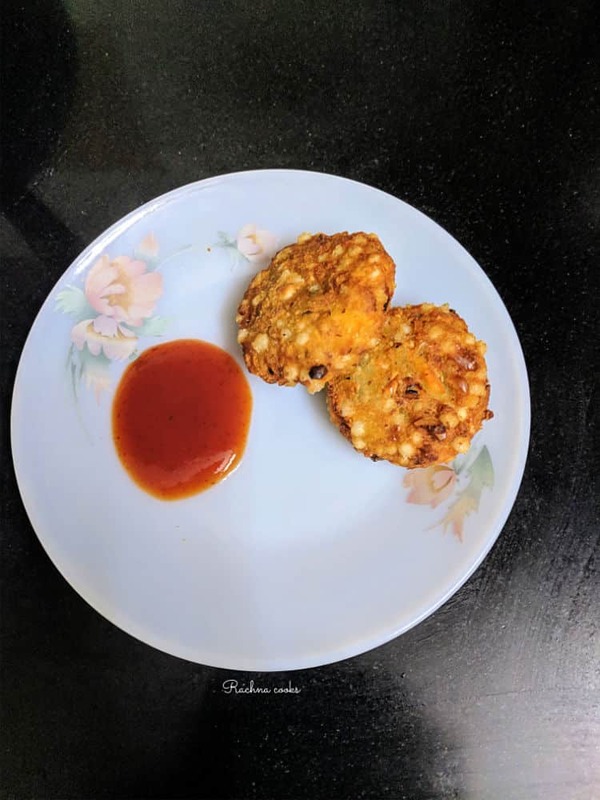 This is an easy and tasty recipe of sabudana vada. 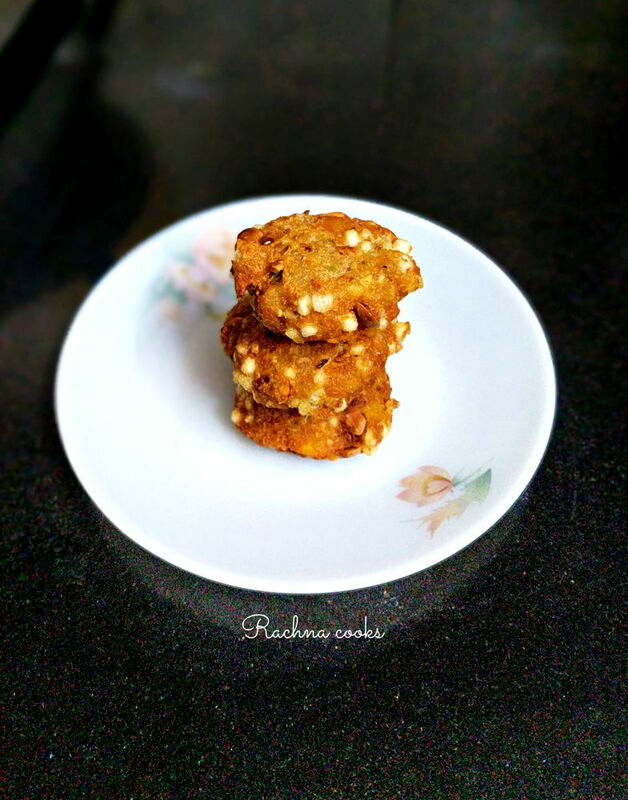 You can make this as a tasty snack with tea or as a fasting recipe during Janmashtami or Navratri. 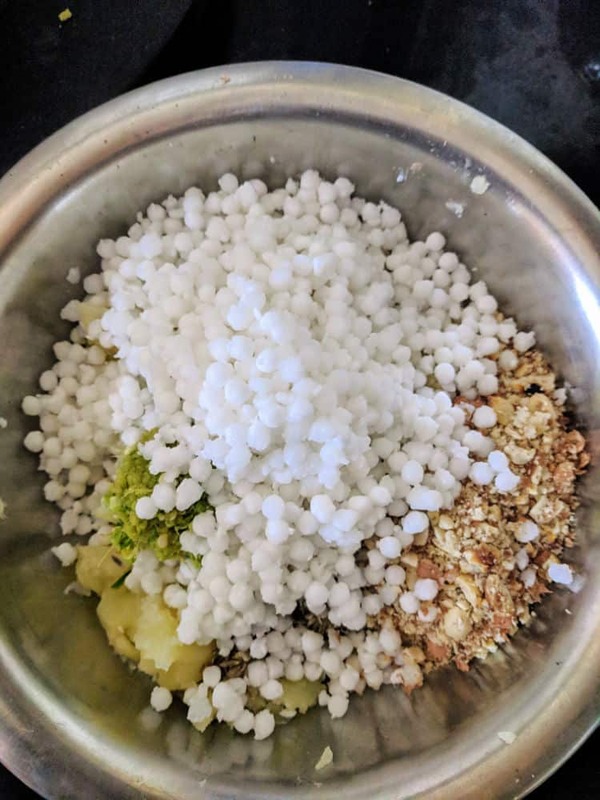 Soak sabudana or tapioca pearls for 5-6 hours or overnight in water just above the surface of sabudana. Now drain the remaining water after soaking. Sabudana would have fluffed up and must be soft when squished. If not, soak it for more time. Mash the boiled potatoes. Roast peanuts and coarsely pound them. 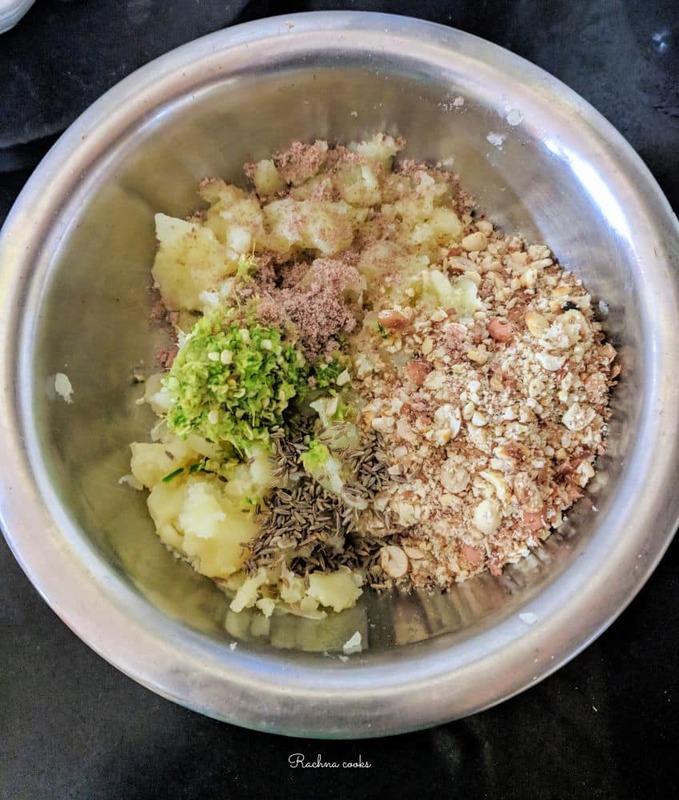 Mix together potato mash with sabudana, coarsely pounded peanuts, finely chopped ginger, chillies, cumin seeds, black salt and sugar (if using). Add lemon juice and mix everything together. Now using your hand form flat patties or vadas. Now heat vegetable oil and bring it to medium heat. Now drop vadas one by one so that they become dark golden brown on the outside and cooked inside. It takes about 5-7 minutes for one batch of 5-6 vadas. Now drain them on absorbent paper and serve hot with ketchup or chutney. Your delicious sabudana vada is ready to serve. Only well soaked and soft sabudana should be used to make vadas. Don’t overcook potatoes or they will absorb a lot of oil while frying. Don’t let the oil be too hot while frying else the vadas will become brown very fast and will be uncooked inside. You can use normal salt if not making it for fasting. I like the taste of black salt anyway. Mash potatoes. Add coarsely pounded peanuts, chopped ginger, chopped chillies, black salt, sugar, lemon juice and cumin seeds. Add soaked and drained sabudana along with chopped coriander leaves. Now form flat patties or vadas with your hands. Deep fry them in hot oil. Hot sabudana vadas are ready to serve. 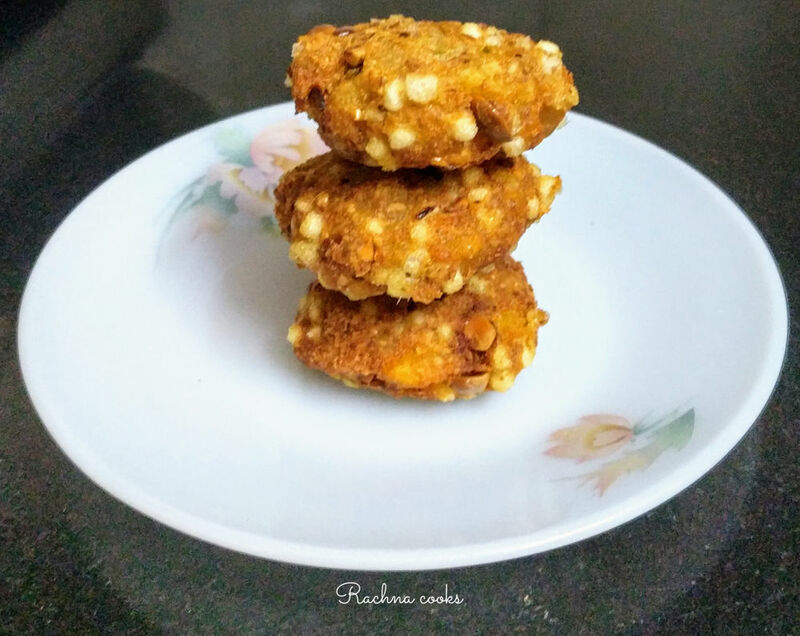 If you enjoyed this sabudana vada recipe, do try out my other Navratri recipes and festive recipes. 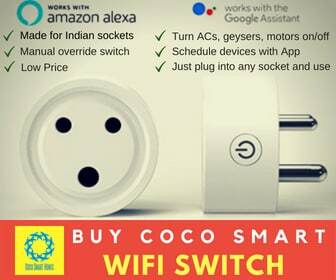 If you liked this recipe, do share with your friends. Sabudana vada is the first thing I order when I go to the vada pav place near my home. ? One indulgence I am unable to get rid of. 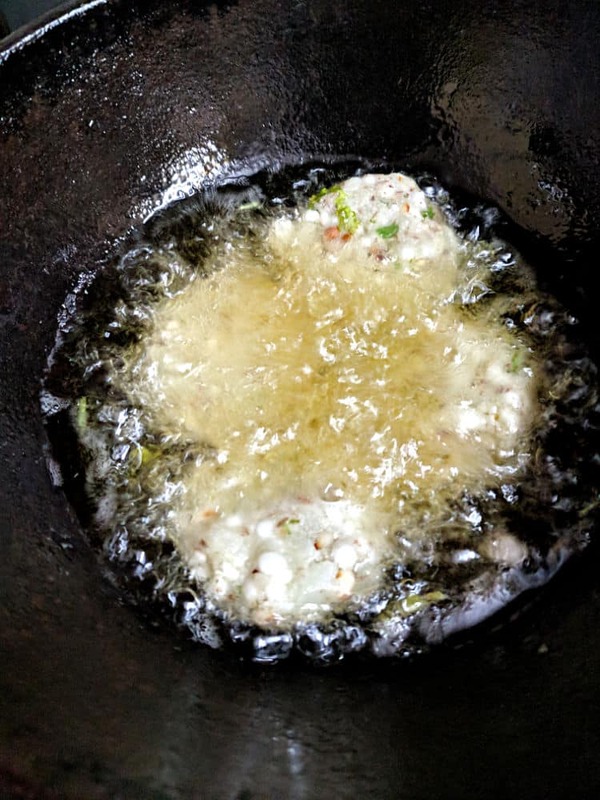 I never get the consistency right for khichdi, but I think vada sounds easier, especially since it’s patties, which I love to make. 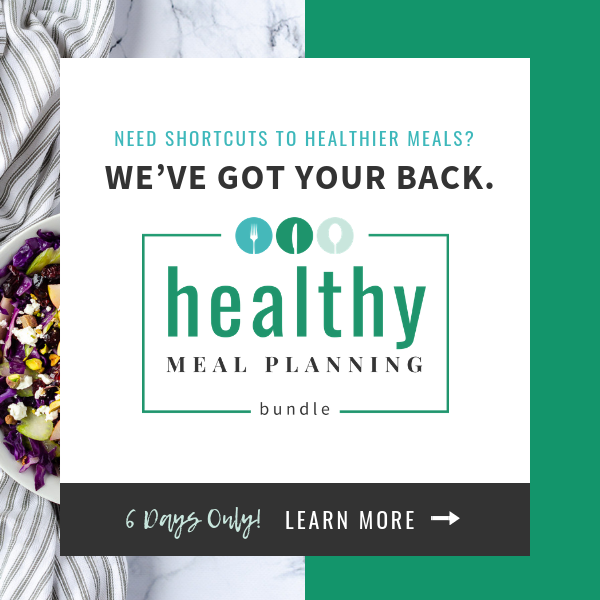 Also, I am inviting myself home and I have a menu for you to make for me when I am there. ? Sabudana Vada, Sabudana khichdi are staple items in Bengali household during any festival where one keeps a fast. I love the Vadas and usually gulp down more than I should ideally eat. Same here. Just can’t have a few. ? Oooohhhh peanuts and potatoes and sabudana, what’s not to love! One thing, Can I bake this or shallow fry maybe? I wish but no. Not even airfry because the sabudana needs to be cooked well. I am inviting myself over – damn look at those perfectly golden vadas!!! I have never added sugar to the vada mix; do use it a bit in the Khichdi though! Shall give it a try – my sunday brekkie for tomorrow!! Sure come over. And sabudana vada for breakfast. Now that is something ? My favorite fasting food! Your wadas look inviting and delicious! Omg…it’s been ages since I’ve had one of these! I don’t even know if I can get sabudana here. Looks delicious! Liked your nutritious crispy delight for evening tea.